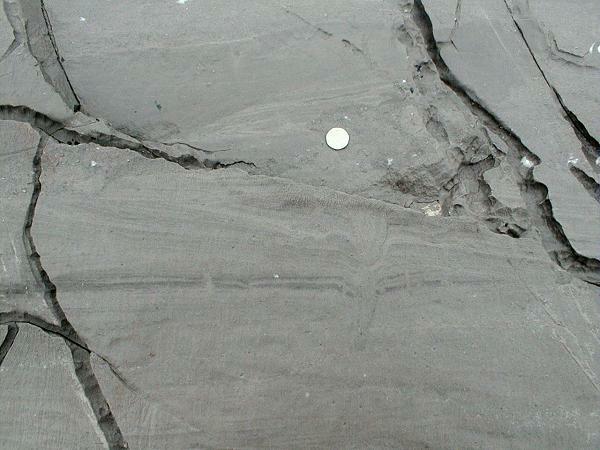 This photograph, of a surface perpendicular to bedding, shows structures cutting through the bedding. Describe and identify these structures. How did they form, and what do they tell us about conditions of sedimentation? Write down your conclusions, then check your answer.